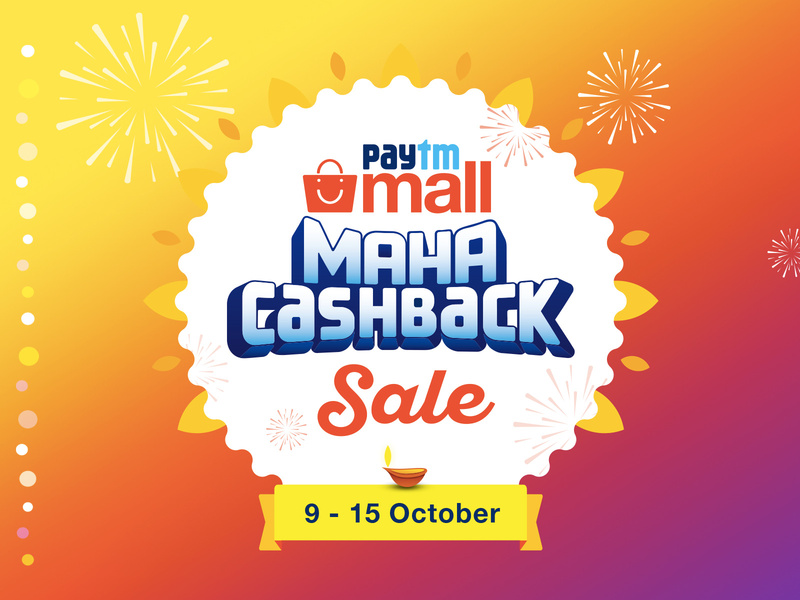 Paytm Mall has launched its ‘Maha Cashback Sale’ today, i.e 9th October to 15th October, 2018. The week-long sale will transfer benefits worth Rs. 501 crore in cashbacks to Paytm Mall customers. The best part is that it features deals that tech enthusiasts simply cannot miss! Some of the key highlights of the sale include no-cost EMIs with all major banks in India, flash sales, price drops (Golden Hours) from 8AM to 12PM, merchandise from over 5,000 brands, and more. 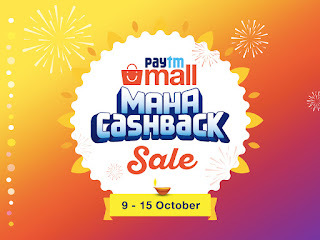 Paytm Mall will also offer a flat 10% cashback (up to Rs. 2,500) to customers making their purchases via ICICI Bank Credit and Debit cards. With its Maha Cashback Sale, platform is expected to extend discount of Rs. 5,000 effectively on Apple AirPods, bringing its effective price down from Rs. 12,900 to Rs. 7,900. Also, Apple’s recently launched iPhone X (64 GB) (Market Price: Rs. 95,390) will be available for Rs. 78,929 effectively throughout the sale period. Paytm mall is leaving no stone unturned to delight its customers ahead of the festive season of Diwali. It is also offering a Rs. 60,500 off on Panasonic’s 127 cm (50 inch) internet-enabled TH-L50DT60D Full HD Smart LED TV (with Rs. 50,000 discount, 10% cashback, and an additional cashback of Rs. 2,500 on ICICI Bank Debit or Credit Card). If you’re a backpacker, make sure to purchase JBL Flip 4, whose price will be halved effectively (and brought down to Rs. 4,499), as well as Canon EOS 1300D Kit (EF S18-55 IS II) 18 MP DSLR camera with Rs. 5,369 off on its MRP. Similarly, Asus Vivobook X507 (Core i3-7th Gen/4GB/1TB/39.62 cm full-HD display/Windows 10) will be available for an effective price of Rs. 23,990 with an overall off worth Rs. 13,000. All purchases made via the platform above Rs. 999 are further subject to lucky draws with a chance to win Renault KWID, Gold Coins, Samsung LED TVs, Asus laptops, and Apple XS during the sale. Paytm Mall customers will also witness flash sales featuring in-demand products and accessories at unbeatable price points. Check out more such incredible deals on Paytm Mall as the ‘Maha Cashback Sale’ is live starting today. Log on to Paytm Mall now!